So, why did I want you to pick an image? The main race of beings in my series has a mark on them. It's like a tattoo or a brand they get when they reach of age- only the mark seemingly comes out of nowhere and it hurts like a beast when they get it. 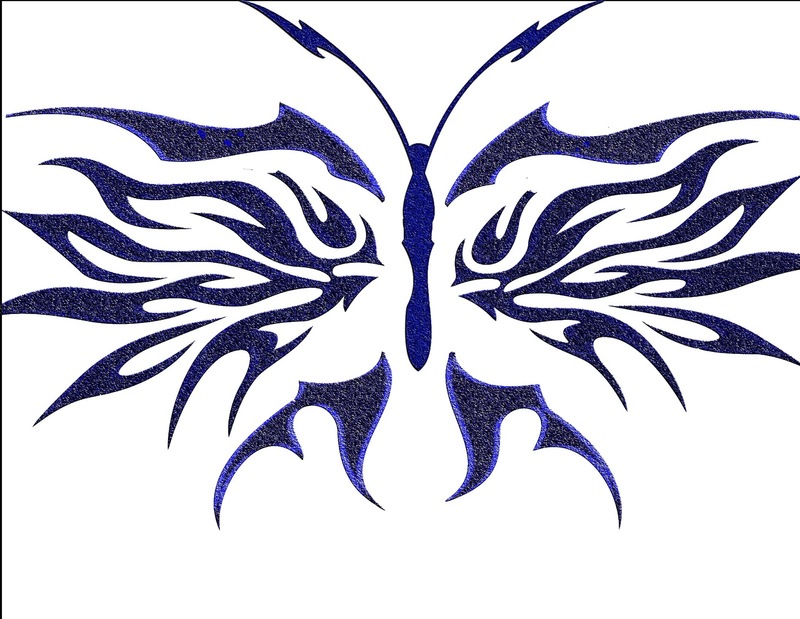 I set the brand as the blue butterfly because I like what it represents. However, this particular symbol is feminine even the name is girly. There isn't a girly bone in my body and male characters have this symbol too so... I had to do something about that. The Rogue will be the mark of this race and, because it's so important to the series, I'll be using it for like promotional posters, bookmarks, stuff like that and I love it! Thanks guys! :D I'm super excited about this image. The Roque is definitely a great choice! Thanks Demitria and Welcome! :D I'm already creating things with it and loving it! A nice way of sorting out which one to go with!